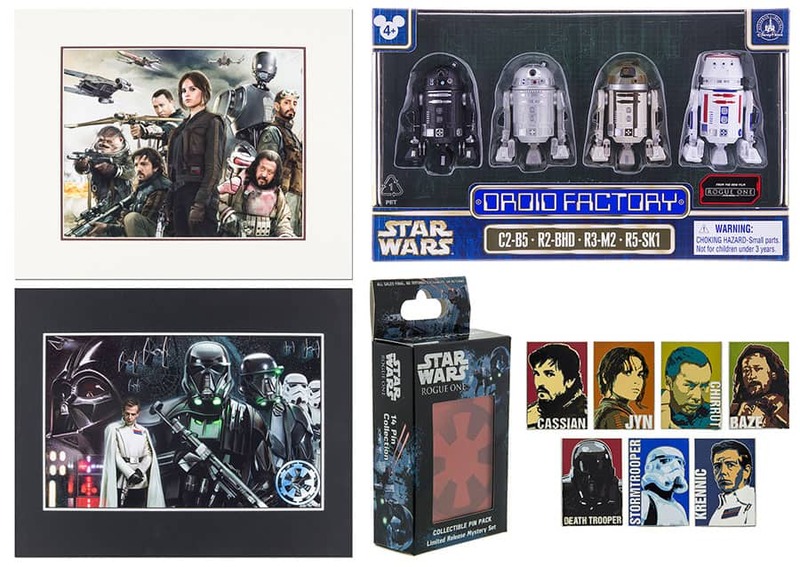 New merchandise celebrating Rogue One: A Star Wars Story is coming Disney Parks starting September 30, 2016. Rogue One: A Star Wars Story revolves around a rogue band of resistance fighters who unite for a daring mission to steal the Death Star plans and bring new hope to the galaxy. The film arrives in theaters on December 16, 2016. 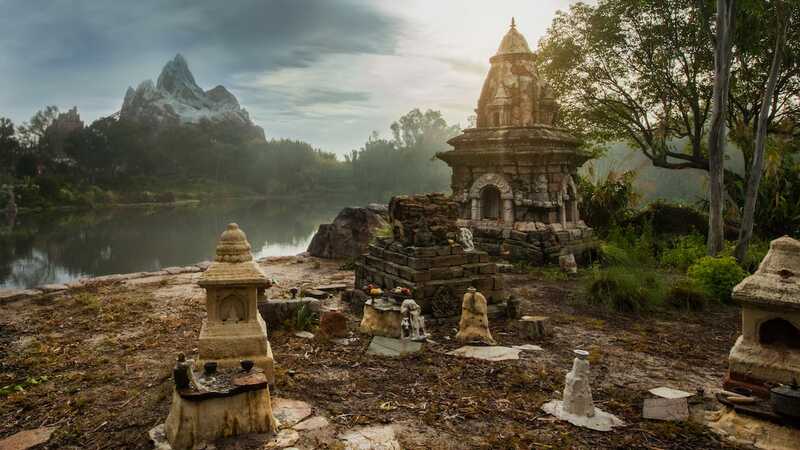 Here is an overview of items created especially for Disney Parks. 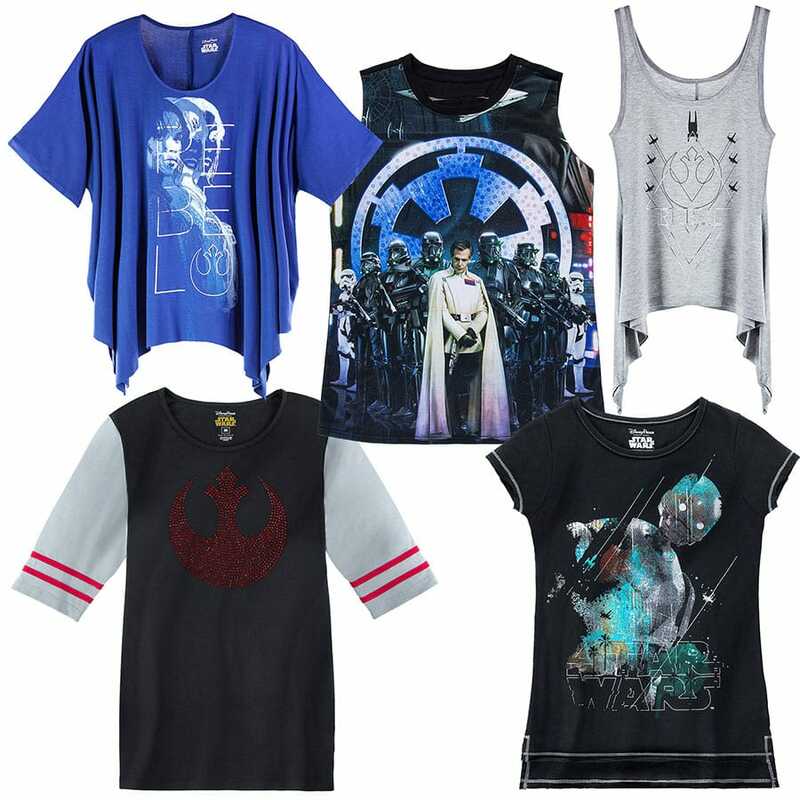 Women will find a variety of stylish shirts featuring characters from the upcoming film including Jyn Erso or the Rebel Forces Tactical Droid, K-2SO. 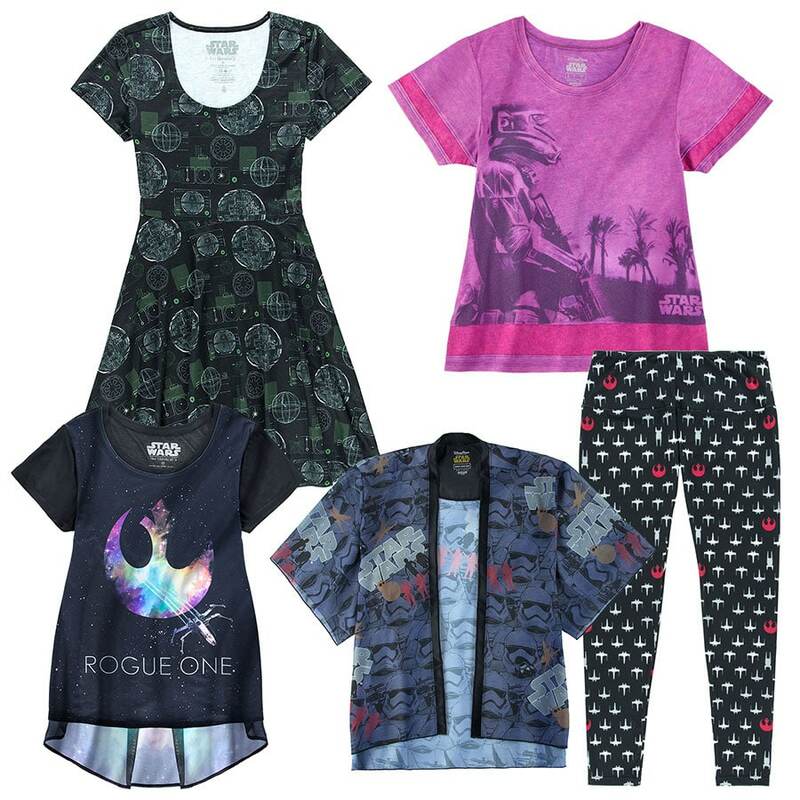 We will also have apparel from the Her Universe collection including a most impressive dress covered with images of the Death Star. 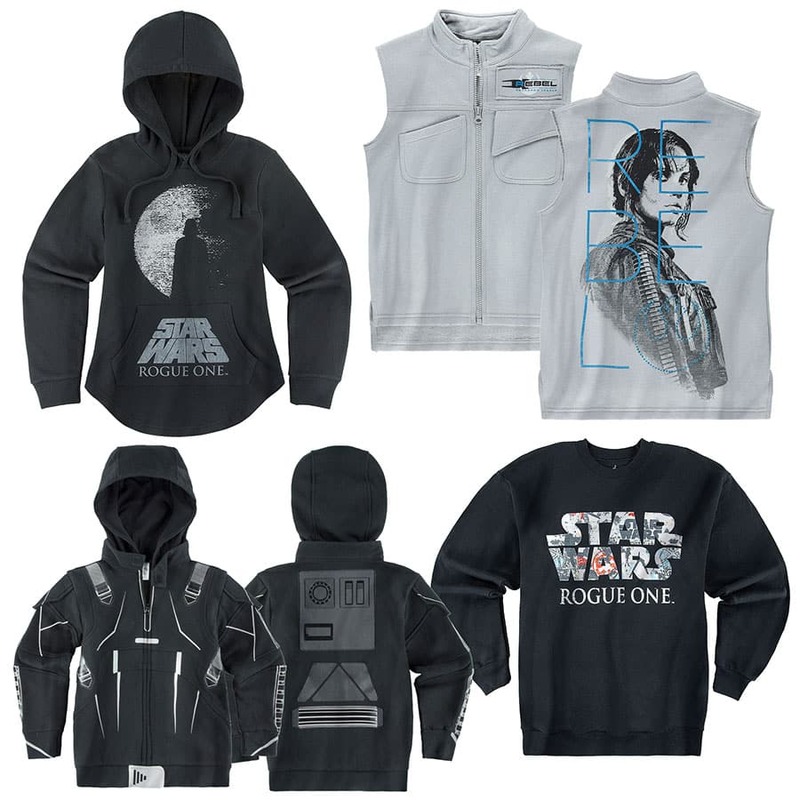 Other apparel items will include hooded sweatshirts, a sleeveless zip fleece with Jyn Erso’s image, and graphic tees. We will have a limited release Vinylmation Eachez of Shoretroopers. Each box contains one randomly selected figure with some variant figures being rarer to find than others. 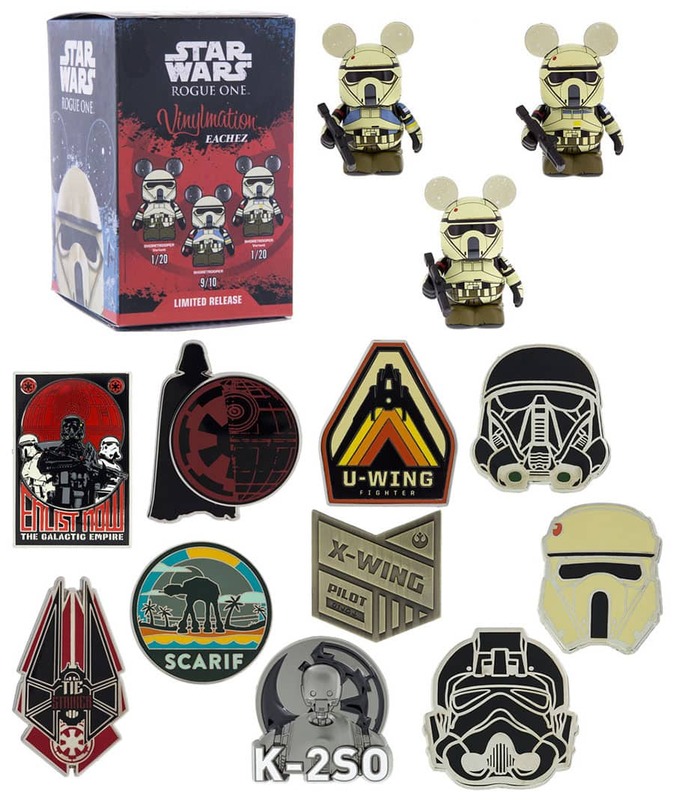 Guests who enjoy collecting pins will find a variety of open edition pins with images of characters, ships, or graphics from the film. There will also be a limited release, 14-pin mystery collection. Each box will contain two pins – 1 of 7 revealed pins that guests can see, and 1 of 7 mystery pins. Fans of the Star Wars Droid Factory will find a set of four Astromech droid action figures inspired by the new film. For guests at Walt Disney World Resort, we will have two limited release, retail MagicBands. 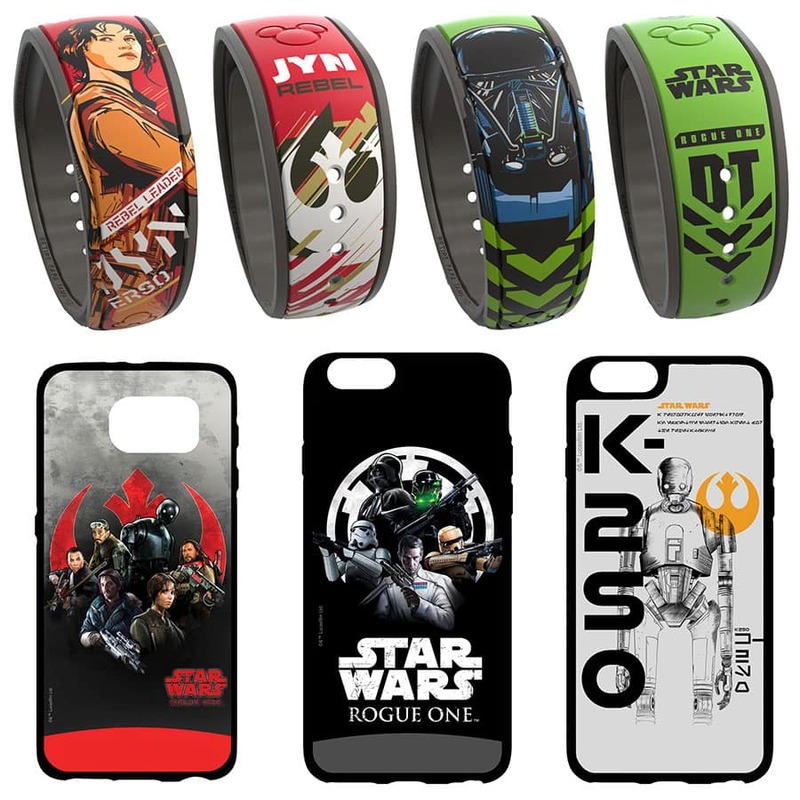 Finally, guests can create and personalize phone cases for select iPhone and Samsung devices with 15 new designs at the D-Tech on Demand stations in Disney Parks. 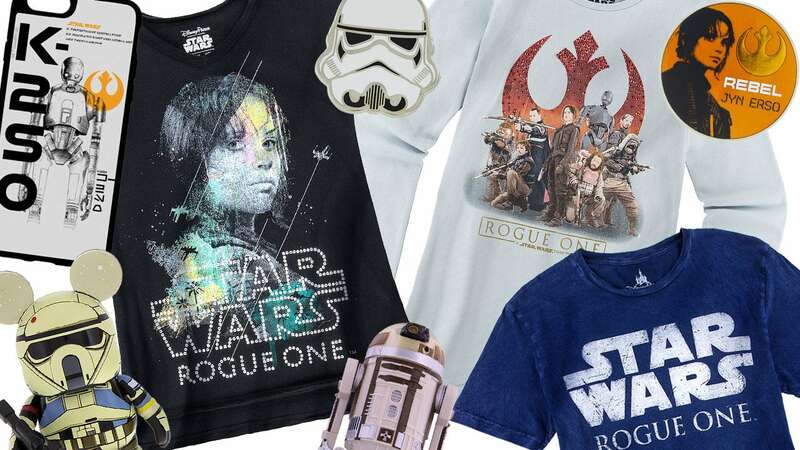 Select items from the Rogue One: A Star Wars Story are also available for purchase on the free Shop Disney Parks Mobile app. At Disneyland Resort, guests may find select items in World of Disney and D-Street at Downtown Disney District; Emporium, The Star Trader, and Star Wars Launch Bay in Disneyland park; Elias & Company and Gone Hollywood in Disney California Adventure park; and Fantasia at Disneyland Hotel. At Walt Disney World Resort, look for select items at World of Disney, Once Upon A Toy, and Star Wars Galactic Outpost at Disney Springs; Emporium and Merchant of Venus in Magic Kingdom Park; Mouse Gear at Epcot; Tatooine Traders, Star Wars Launch Bay, Legends of Hollywood, and Mickey’s of Hollywood in Disney’s Hollywood Studios; and Island Mercantile at Disney’s Animal Kingdom Park. Have you all heard if there will be a special event party for the Rogue One premiere at Disney Springs? Thank you for this tease! Wow, the merchandise looks great! 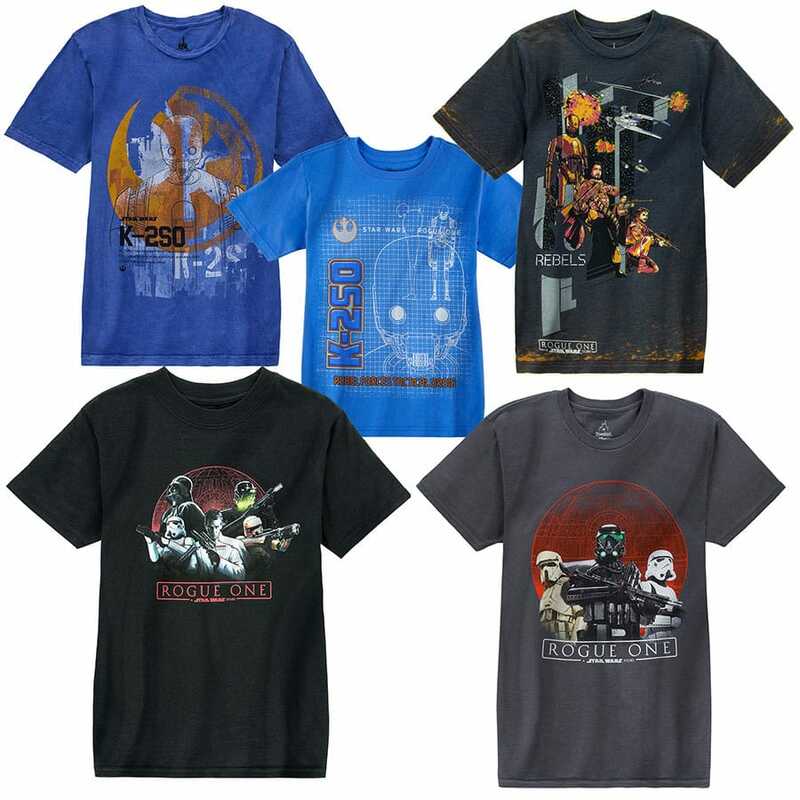 D you know if other Force Friday items will be available at the parks? Like the Hasbro toys, etc? 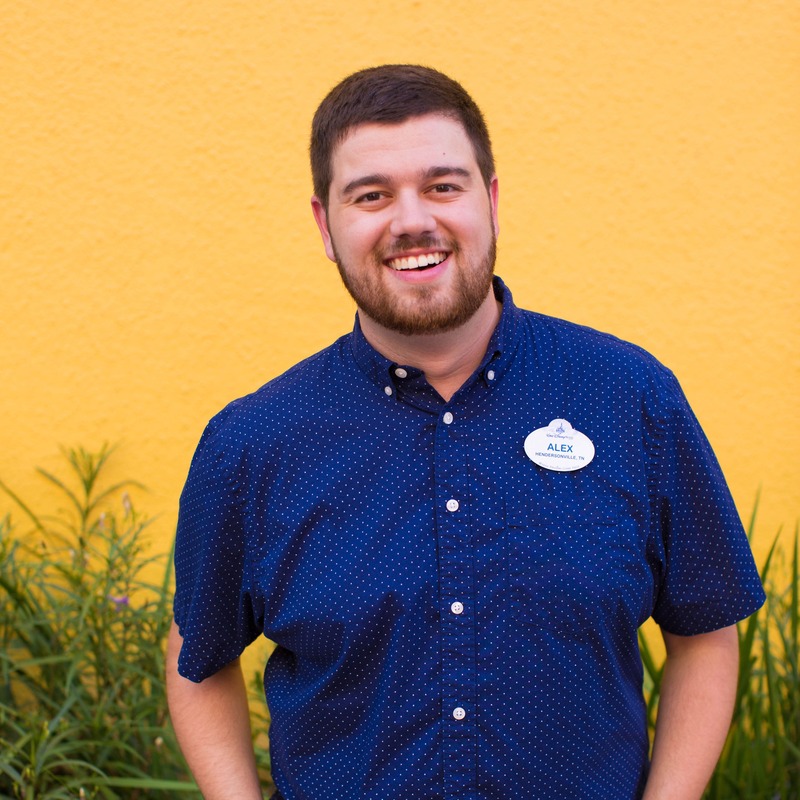 @Ashley – I visited Disney Springs today and saw several of the toys including action figures, LEGO sets, vehicle toys and more.